I refuse to even watch the trailers for the live action Beauty and the Beast movie. It’s one of my favorite fairy tales and I’m going to enjoy every moment in it for the first time when I finally see it! Are you just as excited as I am? I was running out of time to complete this week’s 30 Days of Colour Challenge. 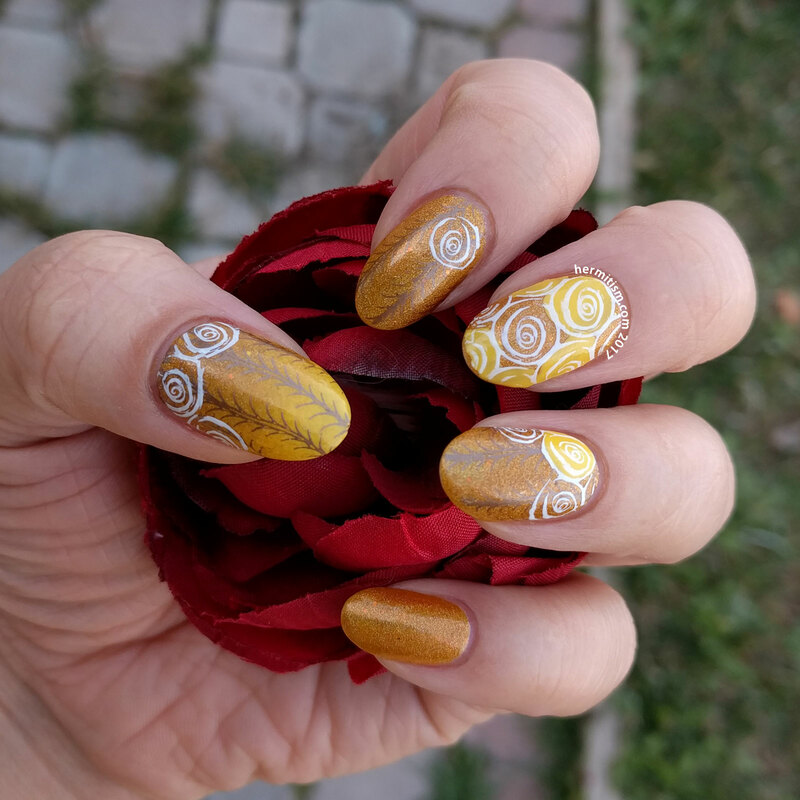 I decided to do one hand with this week’s theme (gold) and the other with next week’s (green), but it was also late in the day so I painted my nails with the base colors and went to bed. 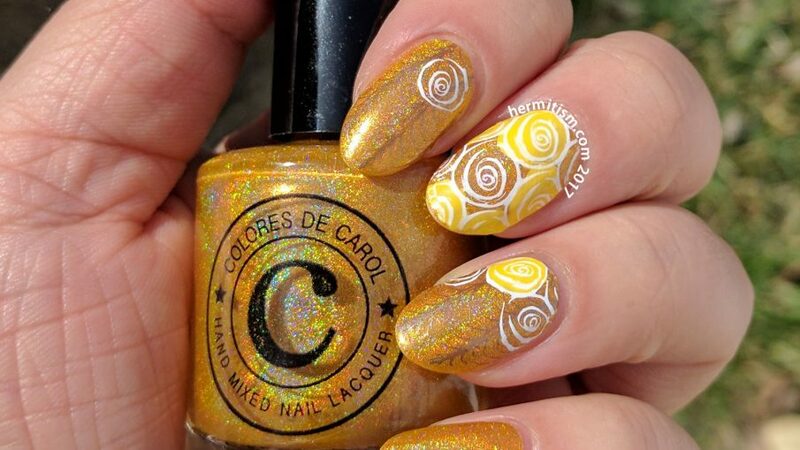 This mani uses Colores de Carol’s “Golden Jubilee” as its base. 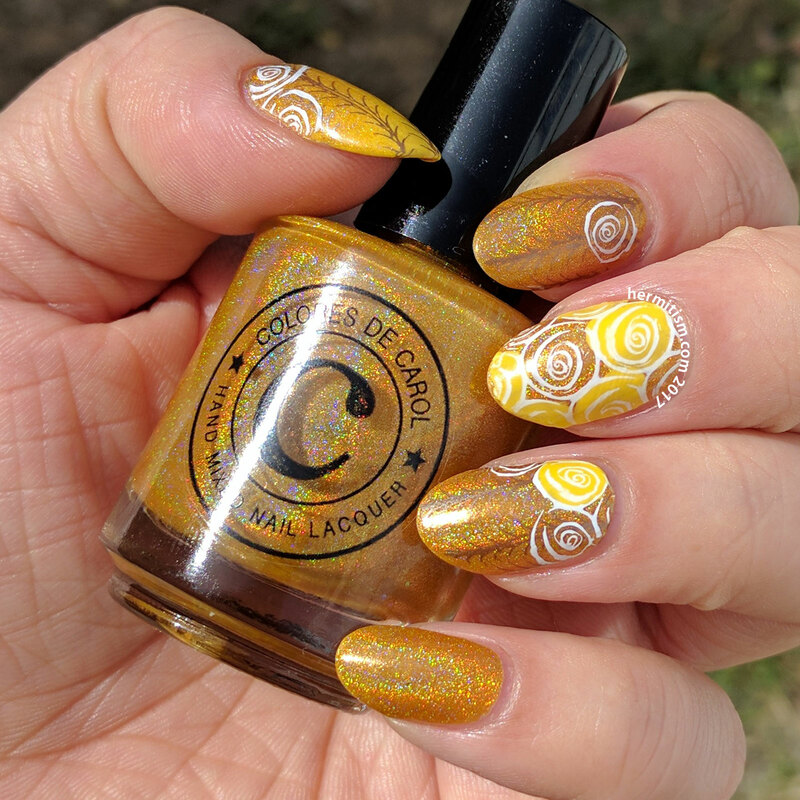 It is a beautiful linear holographic color in orange-y gold. So the next day I was planning on stamping some super simple geometric lines using the Creative Shop stamping plate I used in Embroidered Denim, but then I looked at the second plate I’d been given and realized it had an image like ruched material and a rose pattern. My theme was already gold so why not wander in to the realm of Belle’s ballgown? Really pretty! I think this represents Belle’s ball gown perfectly! I’m pretty excited for the movie, too- I really loved that movie growing up and I think Emma Wastson is going to make a perfect Belle. This is perfection! I love this and can’t wait to see the movie!